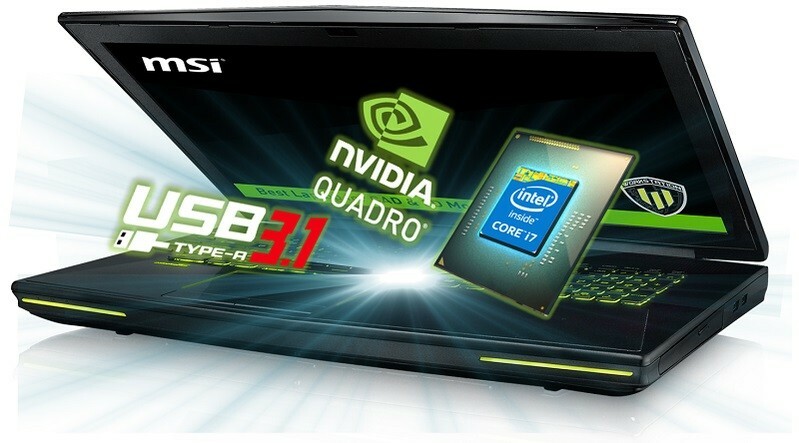 MSI announce mobile workstation WT72 series features world’s first USB-IF certified USB 3.1 host controller, which uses the ASMedia USB 3.1 controller. The ASMedia USB 3.1 controller get its official USB 3.1 certification from the USB-IF organization. It is the world’s first USB 3.1 controller to be officially approved & certified. MSI mobile workstation WT72 series has two built in USB 3.1 type-a interface, which is backwards compatible with USB 3.0 and USB 2.0 devices. It will support transfer speed ultra-fast 10 Gb/s USB 3.1 transfer speed, which is 2X Faster than that of USB 3.0.